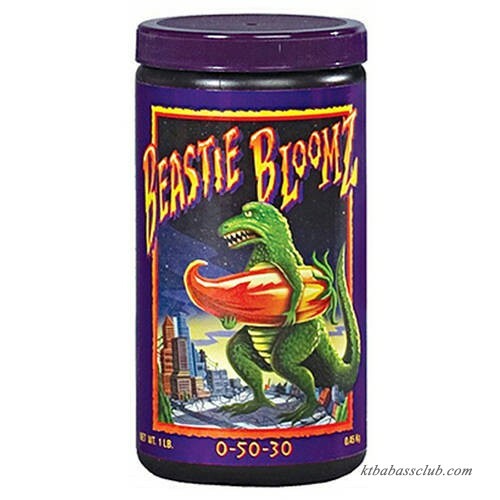 Foxfarm Beastie Bloomz Soluble Fertilizer is a heavyweight blossom builder with a pH balanced blend of nutrients. Designed to create internal bud density. For use in soilless mixes, organic soils, hydroponics, and aeroponic systems. Directions for use: Begin fertilizing with Foxfarm's Open Sesame in the fifth or sixth week of a plant's life. Once buds emerge, feed plants Beastie Bloomz every other watering, according to package directions and feeding schedule.